A draft state budget for 2019 is currently being prepared in Turkmenistan. This was discussed at a government meeting on October 19, as a result of which main directions of the socio-economic development of Turkmenistan and the Investment Program for 2019 were identified. A significant part of monetary volumes is planned to be directed to further improvement of social and living conditions of the population. The budget for the coming year provides for a 10 percent increase in salaries and state benefits, pensions and student scholarships. Focusing on the priorities associated with the development of the draft state budget for 2019, President Gurbanguly Berdimuhamedov noted the need to reduce budgetary expenses laid in the main financial plan for the maintenance of government bodies, and to use the savings to build schools, kindergartens and other social facilities. It was noted that at the present stage of industrialization, the creation of the electronic industry, the transition to a digital economy require the presence of numerous specialists in these areas. In this context, the development of new curriculum programs in areas that are in demand today, in particular, finance, agriculture, industry and the electronic industry, was listed among the priority vectors. The Turkmen president pointed out the importance of providing significant amounts of funds for education, science and healthcare systems. In preparing the main financial plan, as in previous years, special attention should be paid to the development of social sphere. It is necessary to increase the costs allocated to address housing and social issues, especially the construction of residential buildings. Berdimuhamedov instructed to increase the volume of credit funds earmarked for the development of sectors of the national economy, as well as to provide funding for measures to stimulate and develop small business. Emphasis was placed on the need to increase loans to the public, as well as improving the quality of banking services and the availability of interest rates on loans, encouraging bank deposits and guaranteeing their reliability. Among the promising tasks, the president outlined the revision of the Investment Program, stating that annual growth in the construction of industrial enterprises should be envisaged. Having arranged to finalize the draft state budget in accordance with the comments and recommendations made, the president stressed that this issue will be considered at a meeting of the Cabinet of Ministers in late November, Turkmen media reported. 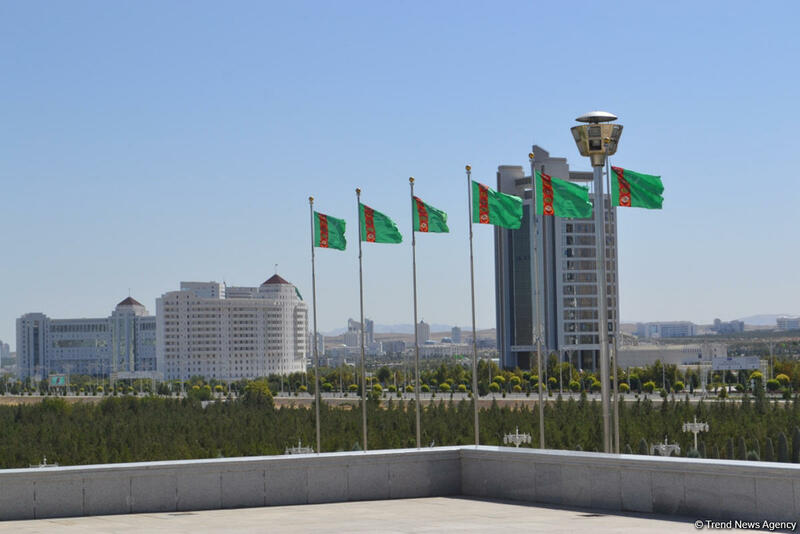 Turkmenistan's state budget revenues decreased by 8 billion manats ($ 3.2 billion) in 2018 and made 95.5 billion manats ($ 27.7 billion). The state budget of Turkmenistan for 2018–2020 is planned to be developed in full compliance with the new Budget Code of Turkmenistan. The adoption of the Budget Code will ensure the improvement of the legal framework for the management of state finances, will contribute to improving the efficiency of budget allocations and the quality of public services provided.